Life as an athlete has been a bit of an emotional roller coaster these last few weeks. It's been 6 weeks since I first noticed a slight twinge in my foot. This escalated into plantar fasciitis, and it's been a race against time to get it all sorted out and get back on track with my training for the Erie Marathon. 1. How will I feel during my run today? 2. How long will the pain last? (The pattern had been that it would hurt at the beginning of the run and then subside about a mile/mile and a half into the run. The duration of the run would be pain free and I kept the pace slow. Some days I was able to get the pace up to a normal easy pace which was a huge win. Note: I got the ok from my doctor to run). 3. How will tomorrow's run feel? 4. How many more weeks left until the marathon? 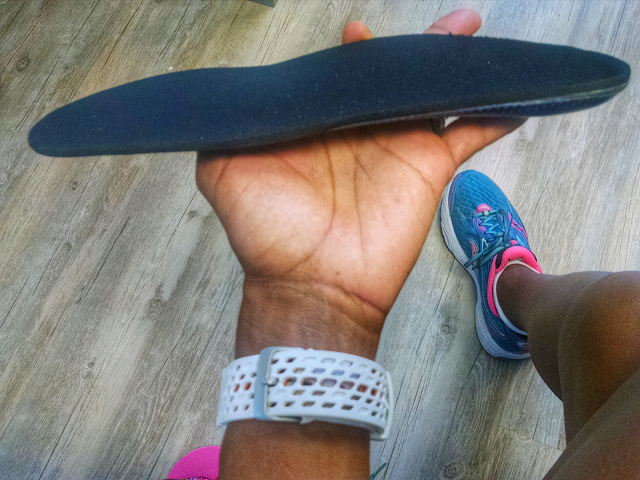 I received my custom orthotics and I LOVE them. They are soft, comfortable and wonderful. My doctor and I were hoping (I have had them for one week now) that this would be the answer to the problem. I had some great runs last week and on Sunday I ran 8 miles. 8 miles! The first longish run since Memorial Day weekend. It was slow, but pain free and I felt great. I was grinning from ear to ear when I walked in the door with Jerold high fiving me and for the first time in a while feeling like we had found a solution. Monday of this week I went for a run and felt horrible. UGH. The pain was back. Tuesday I tried again and basically shuffled my way through it until I knew I had to call it a day. All I could feel was frustration. I knew that my training in these last 8-9 months had been gentle and careful easing into hills, speed and higher milege. We had taken the conservative route and I walked away from Boston feeling like I was in awesome shape and ready to use that base to work toward a serious break though marathon. I still feel that way, but this is more than a hiccup. With 11 weeks left until the Erie Marathon, I woke up this morning and knew it would be a struggle to make it to the starting line. I mean, yeah - I could make it to the starting line, but I wouldn't be ready to race the marathon I know in my heart I can race. It wouldn't be fun to fly across the country to stand on the starting line knowing I wasn't ready. Coach and I decided today that I will not be running Erie in September. Now, we can keep pushing to get this foot healed and start the process of seriously running again. With that said, I am not giving up on a fall marathon - so, what to do? I am super excited to say that I will be running the CIM Marathon on Sunday December 4th!! This race has been on my bucket list for such a long time - I signed up for it when Josh was a baby as a comeback from pregnancy marathon. Ultimately I didn't run it - I guess I lost the fire to train for a marathon for a while and got wrapped up in being a first time new Mom. Anyway, I really feel like this is my time. 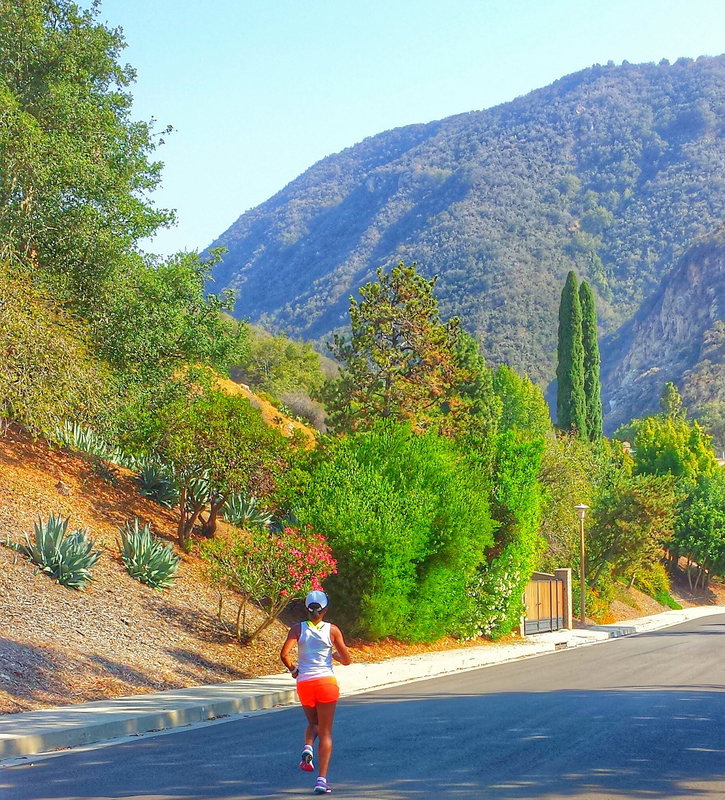 24 weeks to heal, build, gain my speed back and then start to train for CIM.